....today's adventure. As you may know, I have a class pet named Lola. She is the cutest, chubbiest, dwarf hamster eva! Well, my son (who is pretty darn cute himself) decided he wanted his own hamster. He's 15 and has his own money so I thought why not? Well last night he went to a local pet shop that breeds hamsters and fell in love with one (between you and me, Lola is way cuter). 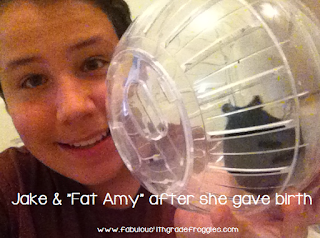 When he brought home the hamster we laughed at how fat it was and he decided to name it "Fat Amy" from one of our favorite movies Pitch Perfect. Making a long story short... Jake went to put "Fat Amy" in her hamster ball this morning and saw she had babies!!!!!!!!!! 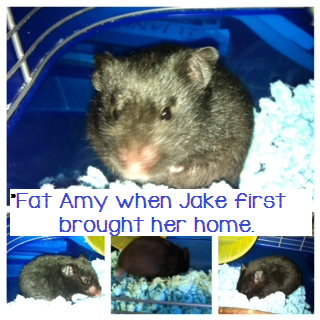 HOLY HAMSTER, the darn thing wasn't fat because she ate too much. she was fat because she was preggers!!!!!! Jake and I freaked a little bit and off to the pet store we went. Everything is good now. The baby aliens hamsters are with another mother hamster and "Fat Amy"(who isn't as fat anymore) is home with us now. We decided not to keep any of the babies. 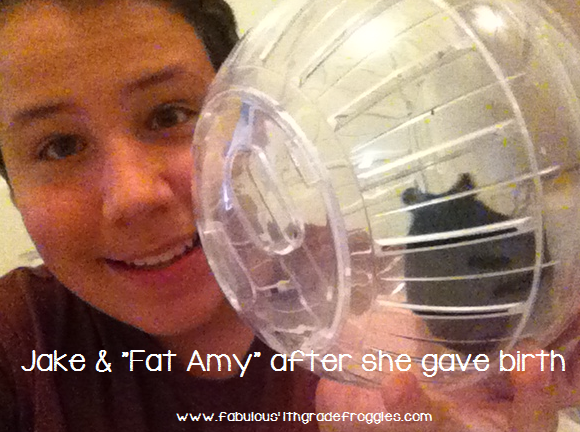 The pet store owner apologized over and over saying "Fat Amy" is so young that he was surprised to see she was pregnant. Anywho, we went back in the afternoon to make sure the babies were still doing well (and we will probably go back tomorrow to make sure they are still doing good). What an adventure!!!! 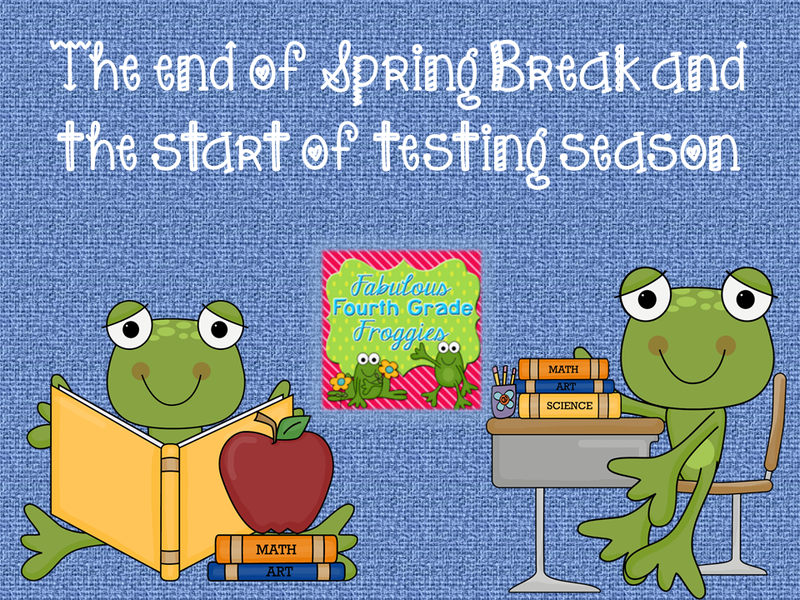 Now back to "Testing Season"... YUCK! I'm not afraid of the tests or the scores but I HATE HATE HATE that these tests are so stressful for our kiddos. In Texas, our first two state tests, called S.T.A.A.R, will be administered on April 2nd & 3rd and will cover writing. Both days the students will need to use their revising and editing skills and write compositions. I don't want to stress them even more or overwhelm them with too many practice passages/compositions so I am planning on using these great resources created by a fellow Texan blogger, the fabulous Lindsay Noren, from My Life as a Third Grade Teacher. 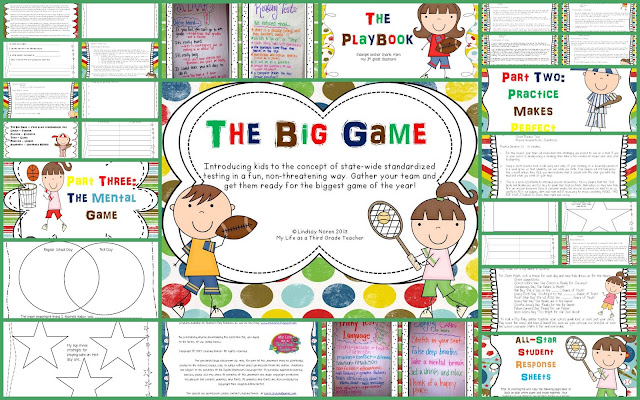 The first one I am going to use is call The Big Game - Introducing Standardized Tests to Elementary Aged Students. This is a FAB-U-LOUS way to start talking about the test. By the way, it is good for any state test not just the STAAR. The next awesome resource I am going to use is Root, Root, Root For the Home Team! 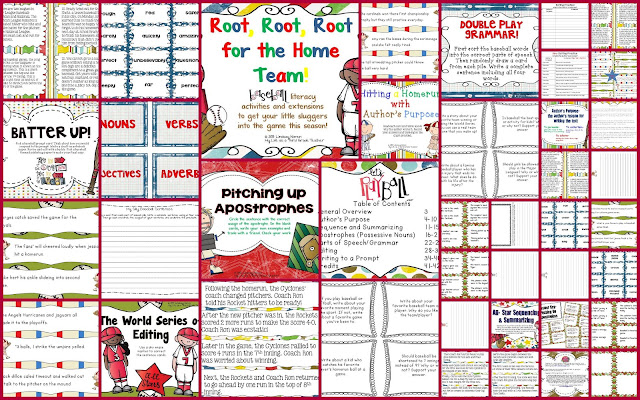 (Baseball Themed Literacy Activities). My students will have a blast practicing the ELA Skills using this home-run of a resource.....HAHAHAHA! Sorry, I just had to go there! Lindsay has a ton of other terrific resources that you need to check out in her TPT store. Visit her blog or her TPT store and let her know I sent you. She doesn't know I am blogging about her (or that I stole borrowed her preview pictures to use here). Don't forget I am having a THIRTY ONE GIFTS online party, if you need any graduation gifts, teacher appreciation gifts, or just a treat for yourself come shopping with me by clicking here. For every item you purchase you get your name entered to win one of three prizes!!!!!! 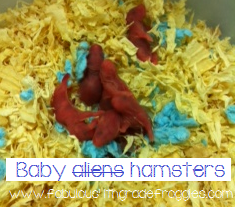 The hamster babies are a bit freaky! Great Blog! I love the graphics and Fat Amy is too cute! !My party is over too...soooo do not want to end this fun week! I would freak out! They do look a little like aliens. Our class hamster died last week (sooo sad). Your post really makes me want to go back to the pet store. Thank you so much for the shout-outs! What a wonderful St. Paddy's suprise!!! Hope your kids enjoy the products! You are very welcome Lindsay! I can't wait to use your products with my students! Oh my! When I was little I accidentally bought a pregnant mouse for a friend. It had tons of little babies.